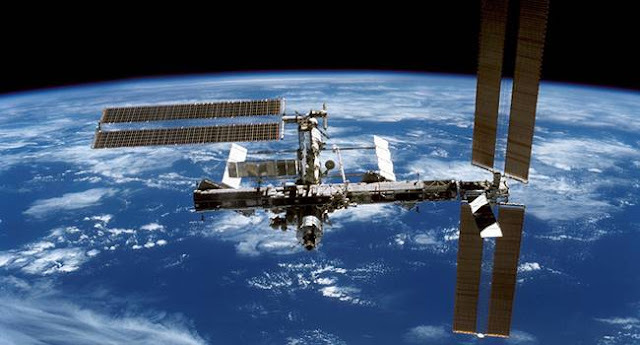 International Space Station is the largest human made satellite in our earth's orbit. This artificial satellite is so large that one can see it with naked eyes from our Earth. The ISS looks like a bright spot in sky. International Space Station go around our earth at a distance of 400 kilometers with the speed of 8 km/second. With this much of speed ISS revolves around the earth 15 times in a day. Rotating our Earth from such a closer distance, People can manage to take a look of International Space Station with naked eyes. The ISS serves as a research laboratory where crew members make experiments in biology, physics, astronomy and many more fields. To see the space station you can visit ISS sighting web page and find the locations in the search bar. You will have full details with date and time at which you can view the ISS. If you are not able to find results at your location then it will give you nearest places from where you can see ISS. How you can spot the Station? Time is when the sighting opportunity will begin in your local time zone. All possibilities will occur few hours before or after sunrise or sunset. This is the best period as sun reflects off the space station. Visible is the maximum time that the space station is visible before crossing back below the horizon. Max Height is countable in degree. It gives the height of the space station from the horizon in the night sky. The horizon is at zero degrees and directly overhead is ninety degrees. Appears is the location where you can see the station first. This is also measured in degrees from the horizon. The letters represent compass directions. 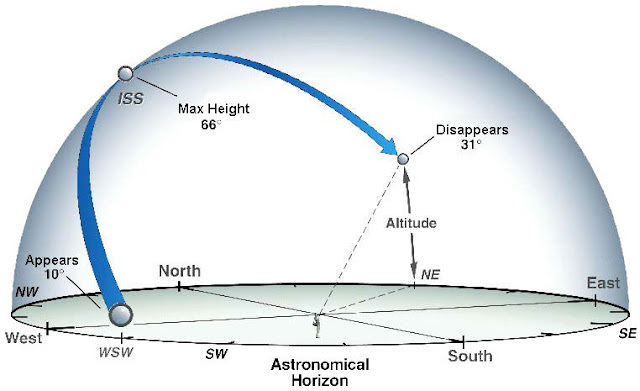 Disappears represents the location from where the ISS will leave your field of view.